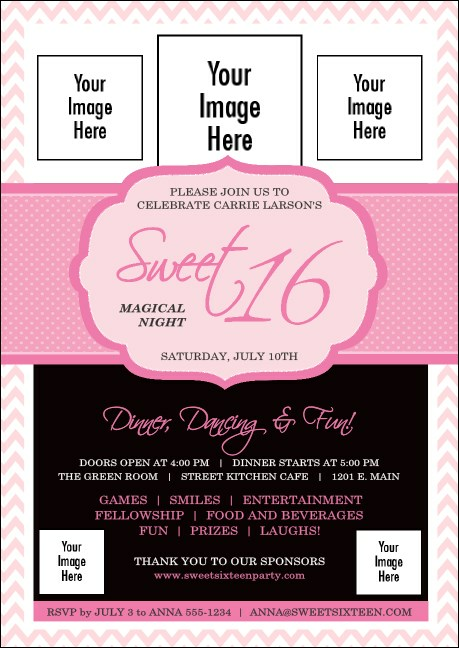 Make sure your sixteenth birthday party is as awesome as you want it to be when you print Sweet 16 Postcards and send them to your guest list in advance. With room to upload five unique images on a delicate pink background design, you can put pictures of your own sweet face right on top of each card. Promote your birthday party like a pro at TicketPrinting.com.